Your skin changes with age. It becomes thinner, loses fat and no longer looks as plump and smooth as it once did. Your veins and bones can be seen more easily. Scratches, cuts or bumps can take longer to heal. Years of sun tanning or being out in the sunlight for a long time can lead to wrinkles, dryness, age spots and even cancer. But there are things you can do to help your skin. Over time, skin begins to wrinkle. Things in the environment, like ultraviolet (UV) light from the sun, make the skin even less elastic. Gravity can cause skin to sag and wrinkle. 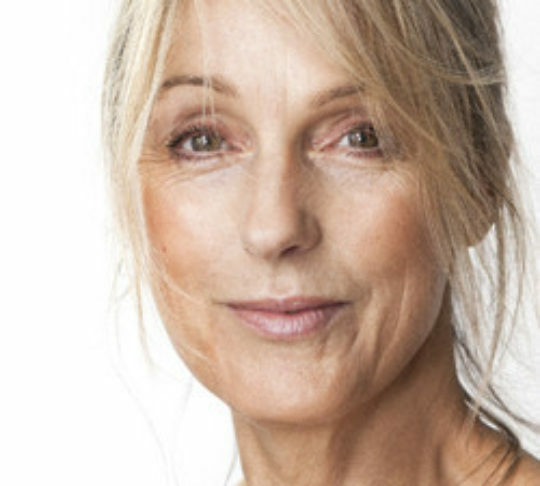 A lot of claims are made about how to make wrinkles go away, but not all of them work. Some can be painful or even dangerous and many must be done by the doctor. Talk with a doctor specially trained in skin problems or your regular doctor if you are worried about wrinkles. Because older people have thinner skin, scratching itches can cause bleeding that can lead to infection. Some medicines make the skin itchier. Moisturizers like lotions, creams or ointments can soothe dry, itchy skin. Try taking fewer baths and using milder soap to help your dry skin. Warm water is also better than hot water for your skin. Older people may bruise more easily than younger people. And, it can take longer for the bruises to heal. Some medicines or illnesses cause easier bruising. If you see bruises and you don’t know how you got them, especially on parts of your body usually covered by clothing, see your doctor. Age spots are sometimes called “liver spots,” but they have nothing to do with the liver. These flat, brown spots are often caused by years in the sun. They are bigger than freckles, flat and many times show up on areas like the face, hands, arms, back and feet. Age spots are harmless. Skin tags are small, usually flesh-colored growths of skin that have a raised surface, found often on the eyelids, neck and body folds such as the armpit, chest and groin. Skin tags are harmless, but they can become irritated. Skin cancer is the most common type of cancer in the United States. The main cause of skin cancer is the sun. Sunlamps and tanning booths can also cause skin cancer. Anyone can get cancer, but people with fair skin that freckles easily are at greatest risk. Skin cancer may be cured if it is found before it spreads to other parts of the body. There are three types of skin cancers. Two types, basal cell carcinoma and squamous cell carcinoma, grow slowly and rarely spread to other parts of the body. These types of cancer are found mostly on parts of the skin exposed to the sun, like the head, face, neck, hands and arms, but can happen anywhere on your body. The third and most dangerous type of skin cancer is melanoma. It is rarer than the other types, but can spread to other organs and be deadly. The best way to keep your skin healthy is to be careful in the sun. Follow the tips below to learn how to take care of your skin. Limit time in the sun. Try to stay out of the sun between 10 a.m. and 4 p.m. Don’t be fooled by cloudy skies. The sun’s rays can pass through clouds. Use sunscreen. Look for a sunscreen with an SPF number of 15 or higher. It’s best to choose sunscreens with “broad spectrum” on the label. “Water resistant” sunscreen stays on your skin even if you get wet or sweat a lot, but it isn’t waterproof and needs to be put on about every 2 hours. Wear protective clothing. A hat with a wide brim can shade your neck, ears, eyes and head. Look for sunglasses that block 99 to 100 percent of the sun’s rays. If you have to be in the sun, wear loose, lightweight, long-sleeved shirts and long pants or long skirts. Avoid tanning. Don’t use sunlamps or tanning beds. Also, tanning pills are not approved by the FDA and might not be safe. Your skin may change with age. But there are things you can do to help. Check your skin often. If you find any changes that worry you, see your doctor.